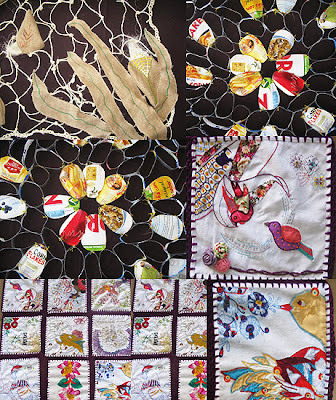 “ Patchwork stories and the origin of a culture "
This is a dynamic project with recycled fabric scraps that are turned into visual patchwork stories by the women of San Francisco Tanivet, Oaxaca. 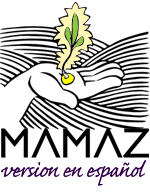 In this project the women are encouraged to talk about their cultural memory on maize cultivation and their family recipes, which uses these native seeds. 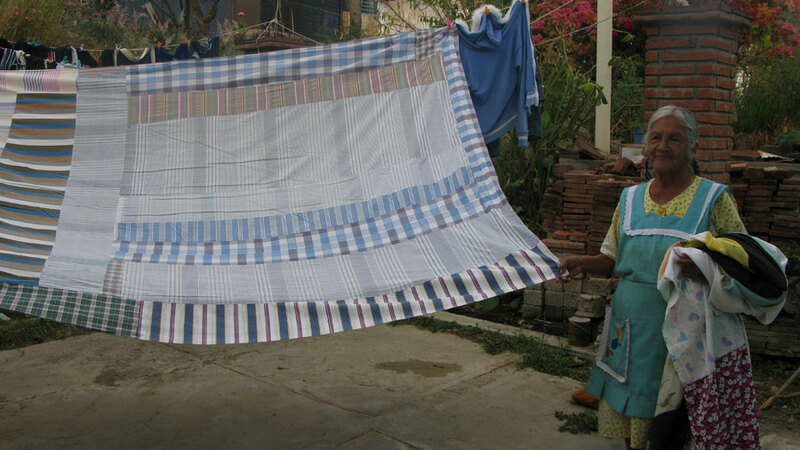 The history of patchwork techniques has been used by women around the world Oaxaca has its own tradition with recycled cloth which grandmothers used to make family clothes, pillows, sheets and bed covers. The technique has been lost in most communities, members of MAMAZ whom use cloth in their own artwork are teaching the women from Tanivet (a village that has no traditional craft experience) how to recycle their cloth scrapes and make contemporary products that they can then sale at local markets, giving the women an additional source of income. This project started with an invitation by Ac Ferdanmi of Oaxaca, a civic organization that promotes the development of women, children and communities in the state of Oaxaca, with its education and training in gender equity and human rights. 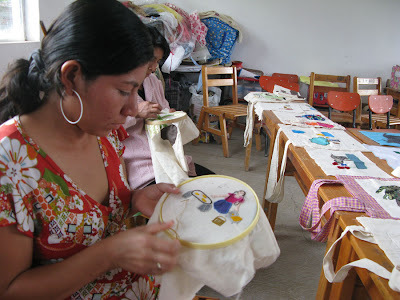 Ferdanmi aims to improve economic and social condition for these communities with their educational projects. Ferdanmi and MAMAZ, have been working together for over a year in their different areas of expertise to make this project: “Patchwork Stories and the Origin of a Culture” economically sustainable for the women of San Francisco Tanivet so that they may value their traditions and their cultural memory of the planting native maize. 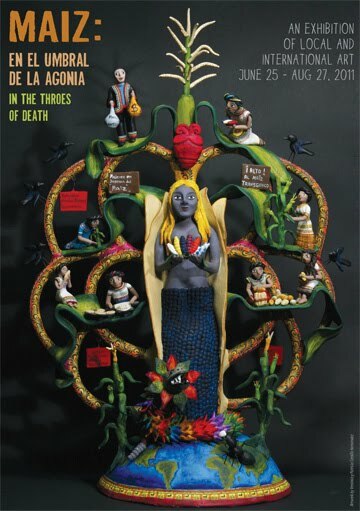 The exhibition Maiz en el Umbral de la Agonía / Maiz in the throes of death opened at the Esperanza Peace and Justice Center on June 25, 2011. The tittle derived from one of the selected pieces, a polychrome pottery piece by San Antonio artist Veronica Castillo. Exhibit invitation. Piece by Veronica Castillo and Patricia Castillo Hernandez, 'Blue Maize in the Throes of Death,' 2011. Polychrome pottery. 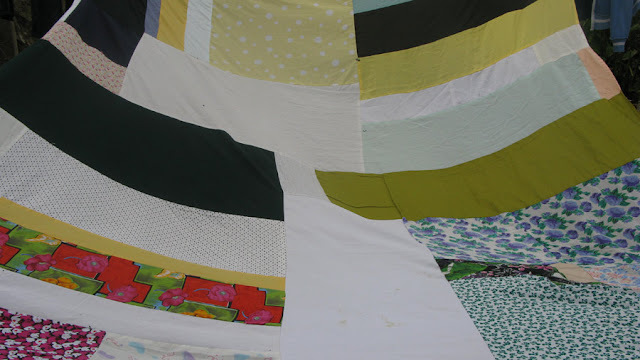 74 x 52 cm. 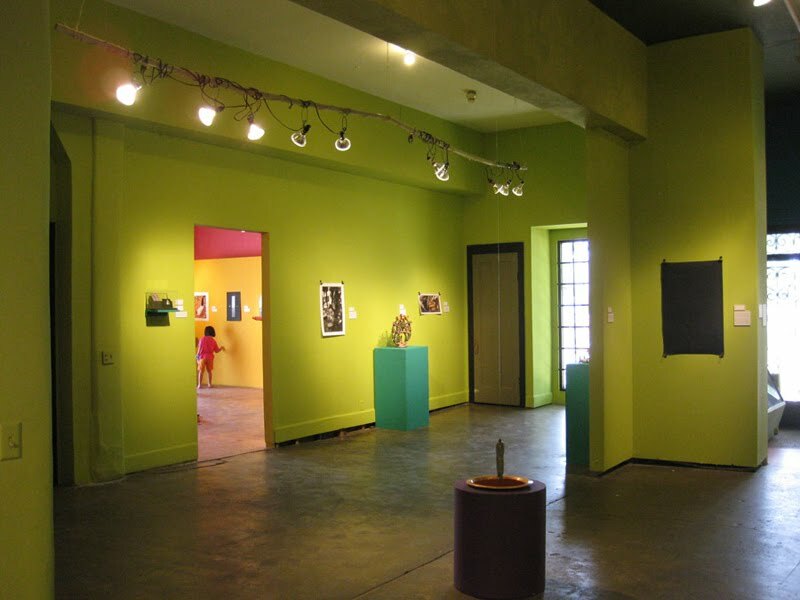 Here are a few images documenting the creative process and the wonderful artists that participated in this exhibit at the Esperanza Peace and Justice Center in San Antonio, Texas. Artists selected for this show included Gloria Sanchez Hart, Kamala Platt, Nancy Klapp, Rosalyn Warren, Liliana Wilson, Martha Prentiss, Genevieve Rodriguez, Soledad Martha Hernandez Baez, Mary Agnes Rodriguez, Josie Méndez-Negrete, Veronica Castillo and Patricia Castillo Hernandez,Christa Klinckwort, Maddalena Forcella, Minerva Hernandez, Adriana Calatayud Morán,Yolanda Petrocelli,Emilia Sandoval, Maruch (María) Sántiz Gómez,Nadja Massun, Mari Seder, Jessica P. Gonzalez, Margarita de la Peña, Ana Gómez, and Marietta Bernstorff. 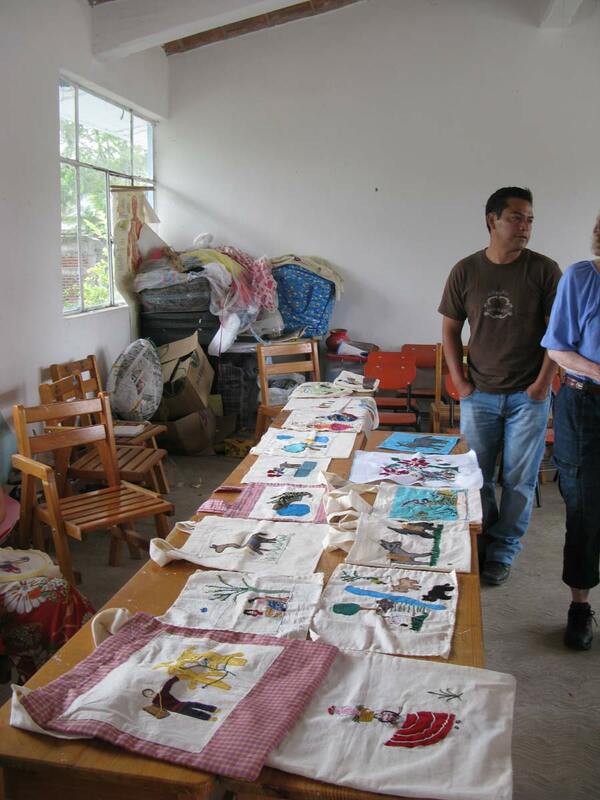 Putting the finishing touches for the exhibit at the Esperanza Peace and Justice Center. 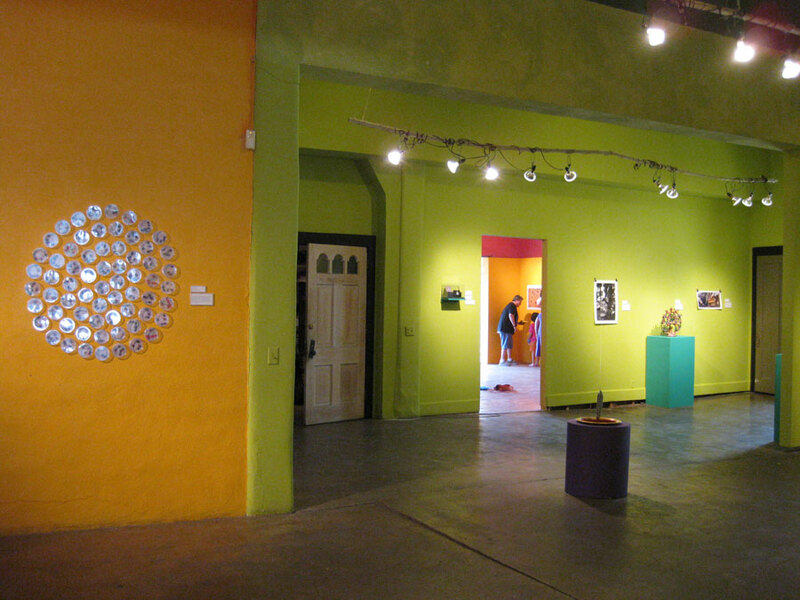 Finished galleries at the Esperanza Peace and Justice Center in San Antonio, Texas. 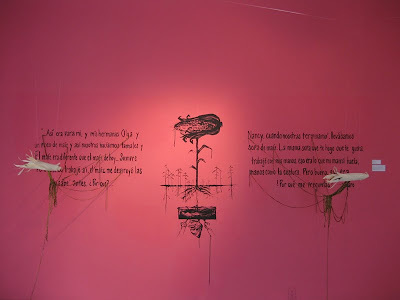 Piece by Genevieve Rodriguez, 'Once upon a time...' 2011. 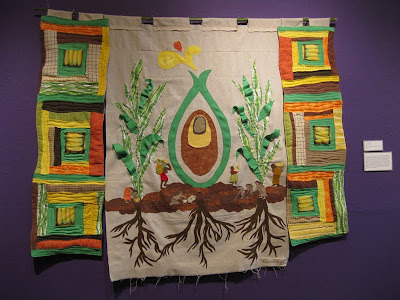 Acrylic paint, yarn and corn. Piece by Rosalynn Warren, 'Within our roots,' 2011. Textile collage / quilt, hand & machine sewn. 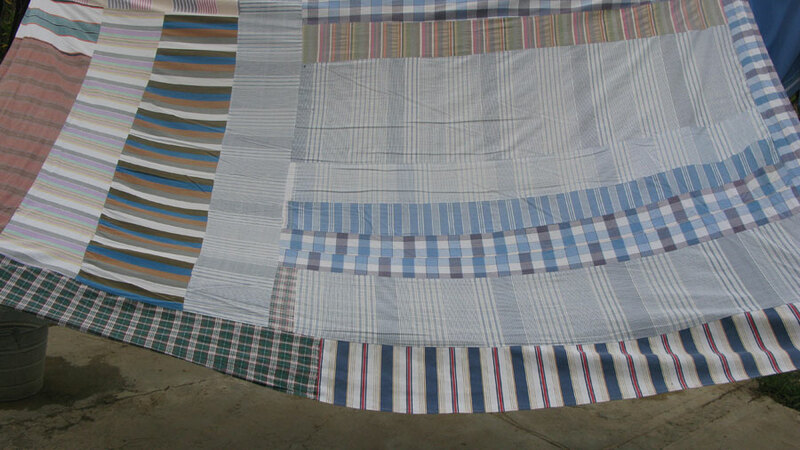 102 x 152 cm. 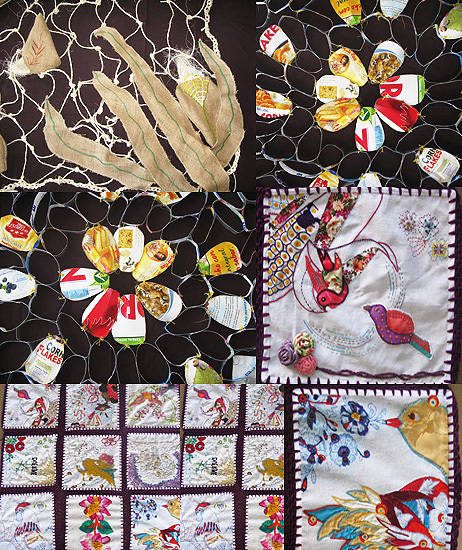 We are pleased to announce that MAMAZ will be participating in this year's VI International Biennial of Contemporary Textile Art with three collective pieces on the Wind Pollination of Maize Flowers. 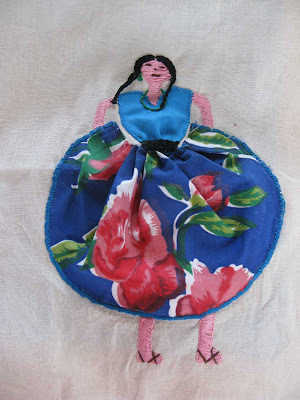 To learn more about the May 2011 exhibit and this year's Contemporary Textile Art exhibit visit World Textile Art. Doña Olivo has been making sheets and bedcovers for her friends and family for years. Her work provides her and her family a much needed source of extra income. 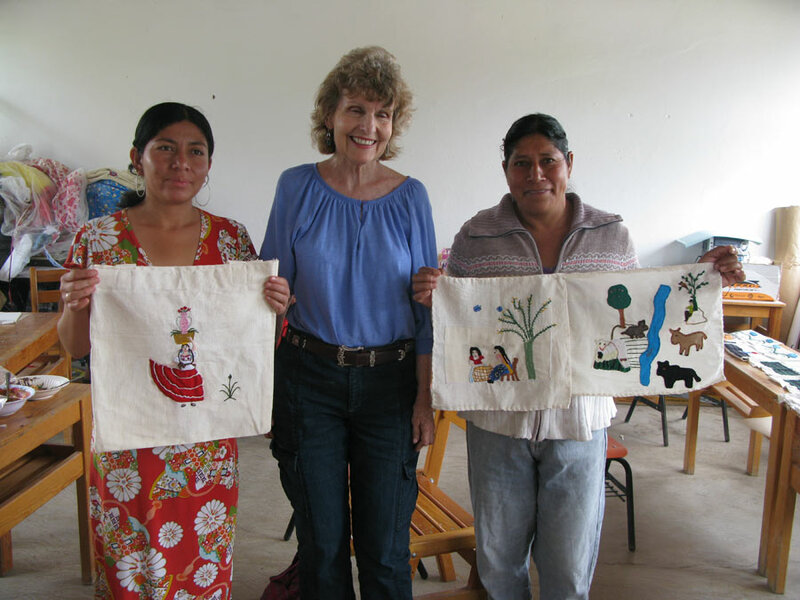 To read more about our quilt and patchwork collaborations with women in villages in Oaxaca visit our Quilt Project section!